At Chipperfield’s Landscaping we have over 10 years of experience in Kamloops landscaping with happy customers. All work is supervised and quality controlled by the owner, who prides himself in prompt and quality service. We offer free on site estimates, and provide a great service at competitive rates. When you want the best in Kamloops landcaping choose Chipperfield's. 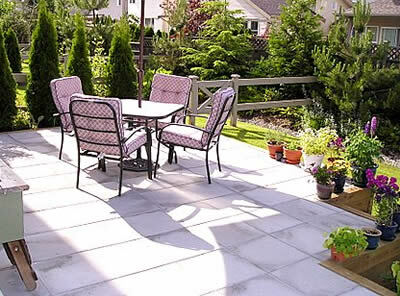 Trust your local Kamloops landscapers with your garden or new patio. We will make your garden the highlight of your summer entertaining. Call us when you need a hand with your garden or need us to help you with garden design for spectacular results.